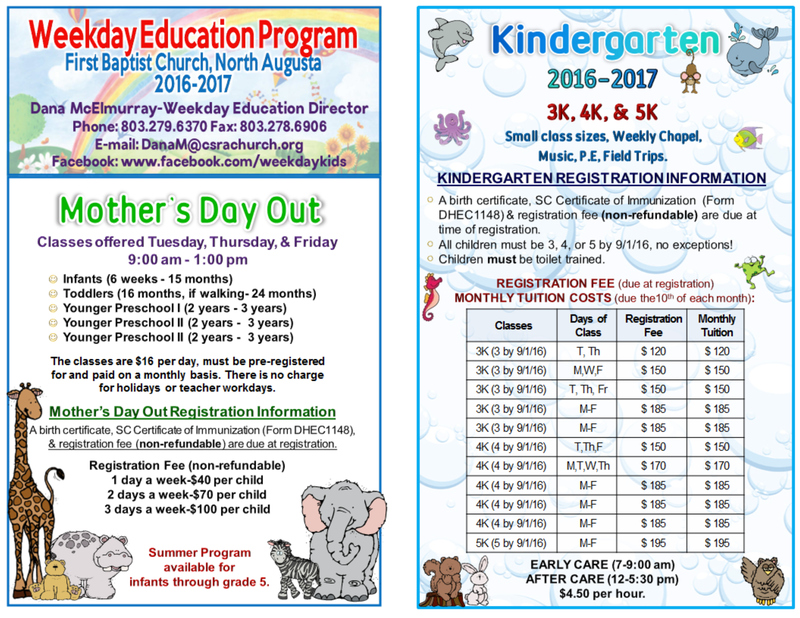 First Baptist Church provides two weekday preschool programs: Mothers' Day Out and Kindergarten. 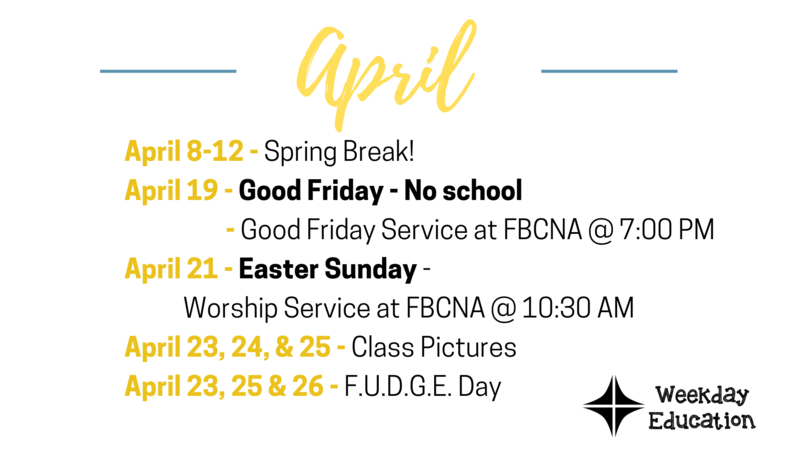 We are committed to sharing God’s love daily with every child through our words and actions and are pleased to have the smallest classes in the area in both programs. 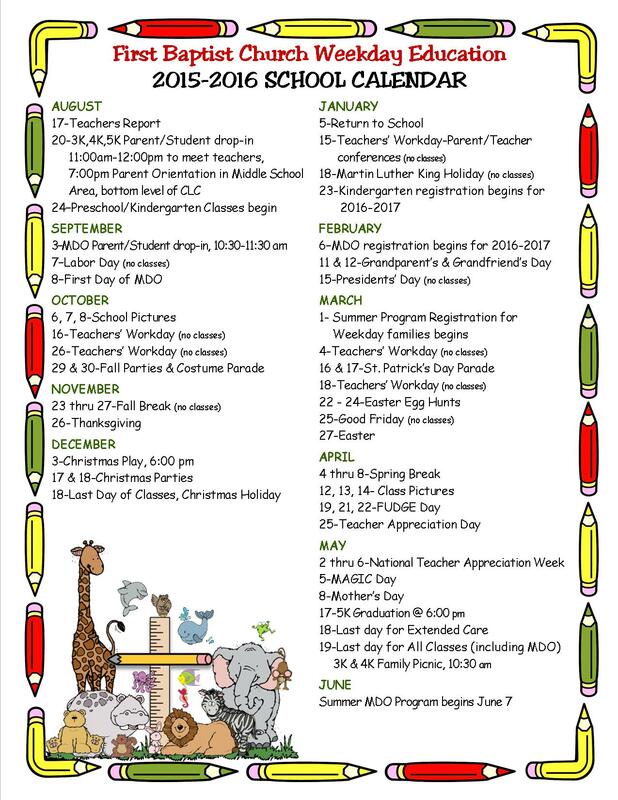 In our Preschool and Kindergarten we offer a variety of class options available for 3 and 4-year-olds from 9:00 am until noon and 5-year-olds from 8:00 am until noon, September thru May. Early care and after school care is available from 7:30 am - 5:30 pm. 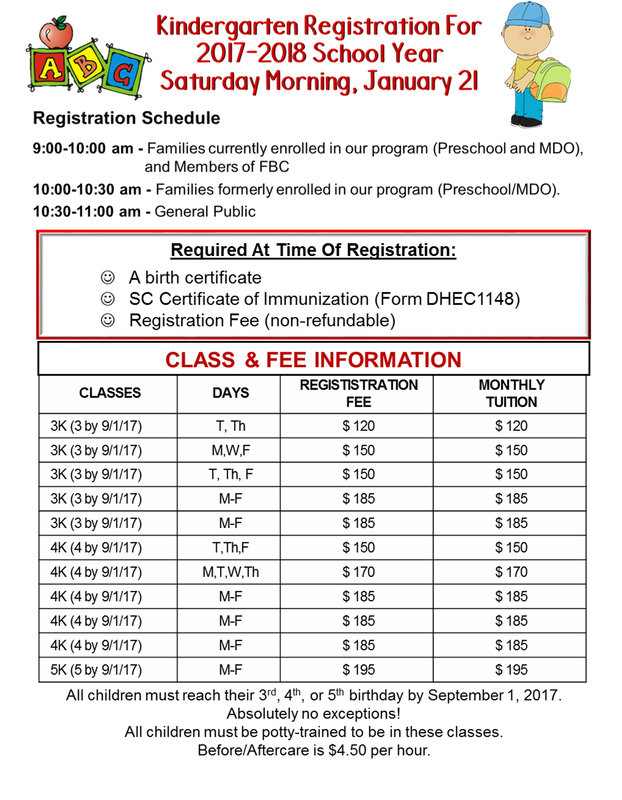 Our Mothers' Day Out classes are provided for infants through 5-year-olds Monday through Friday from 9:00 am until 1:00 pm. See Tammy at the Weekday Desk to Sign up for Summer! Please call Director Dana McElmurray or the Assistant Director, Tammy West to find out the classes that have openings available. 803-279-6370. For more information on our Weekday Education Program, please contact .